This is my latest Compositing Reel, showcasing Compositing and Digital Paint work. Software used: Nuke, SilhouetteFX, Mocha Pro, and Syntheyes. fxphd invited me to spend 1 month in China teaching Nuke. It was a great experience! The Nuke .fxs (Silhouette shape format) exporter. Its a Nuke python script that will let you grab any Roto/Rotopaint node and export the shapes to Silhouette Roto and Paint. Nukepedia is not accepting new entries yet, so I’ll post the script here for now. I’m working on a improved version without the need of baking all the keyframes, please get in touch for greeting, bugs, and requests! Hello! On this video I present the “FreezeSplinewarp” technique: it allows to matchmove and stabilize plates using Nuke’s splinewarp node. With CornerPins your are limited to 4 points, but with this technique you can use any number of points, getting more finer control. I show also the scripts that I developed to automate the whole process. These will help to further improve the scripts and automation of the technique. I have a good understanding of Nuke and Silhouette Roto Python scripting, if you need development please get in touch. 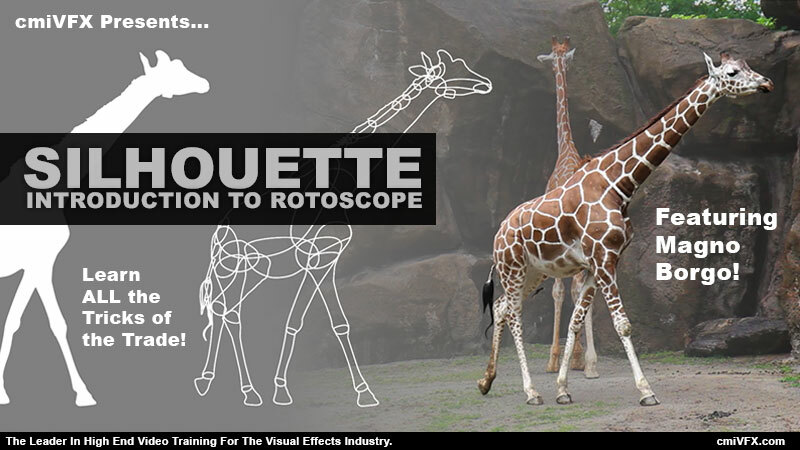 If you work with Rotoscope in Silhouette Roto and Paint, check out the scripts that I’ve developed for Boundary Visual Effects. They are free and will help improve your day by day rotoscope tasks. Brief introduction about the topics that will be covered in the training. Start of the digital make-up project, studying the shot. Initial Mocha Pro Project Setup, discussion about approaching the tracking of a non-planar surface. I compare the tracking options and result quality of the track and explore the tracking properties to facilitate the tracking process. This time I worked on a rotoscope training covering the Roto Node of Silhouette Roto and Paint software. Silhouette is my favorite rotoscope software, and I present not only software skills but also the needed rotoscope techniques to create great mattes. User Interface tour and overview, learn how to setup projects, sessions, and load media files. Explore the user interface layouts and performance settings that will affect footage playback and rotoscope speed. Extensive explanation about Silhouette’s shape types: b-splines, x-splines and bézier. Drawing techniques, using the reshape tool, adjusting curve tension and point modes: cardinal, corner, b-spline and center. Navigating the viewer with tools and shortcuts: zoom, pan. In depth review of the Project window. Discussion of strategies to break down subjects into shapes for rotoscope. Working with the Viewer modes and inputs to help on shape drawing, rotoscope evaluation and to avoid background color contamination. Using the reshape and transform tools to manipulate shapes: moving, rotating, scaling, skewing, and corner pinning. Setting the anchor point and using special transform tool modes to manipulate groups of shapes and points. Planning the animation, optimal keyframe positioning in time and dealing with keyframing interpolation. Introduction to the “back and forth” technique. Review of the Object List: creating and manipulating layers. Techniques to create and use Silhouette’s excellent point tracker. Applying 1, 2 and 4 point tracking data to layers, refining problematic trackers, manipulating the transform matrix of layers and using the layer stabilization feature. Use of Silhouette’s Planar tracker. Evaluating the planar tracker results. Pre-processing plates to improve planar tracker results. Extracting point trackers from shapes. After learning the tracking techniques, the rotoscope continue and the project is finished. Discussion of other useful rotoscope techniques, tips and tricks: Using the Multiframe tool, animating shape opacity, layer stabilization, extracting trackers from shapes, breaking keyframed shapes into smaller pieces. How to deal with hair and other thin rotoscope subjects. Working with open shapes and stroke width. Open shapes drawing techniques, and manipulating/animating complex groups of shapes. Rendering the mattes to be used on any compositing software. Discussion of render settings and node parameters that affect the render output. Rendering Slap Comps for previews and dailies. How to export shapes from Silhouette. Detailed export/import overview to After Effects, Nuke and Shake. Using Silhouette Actions. 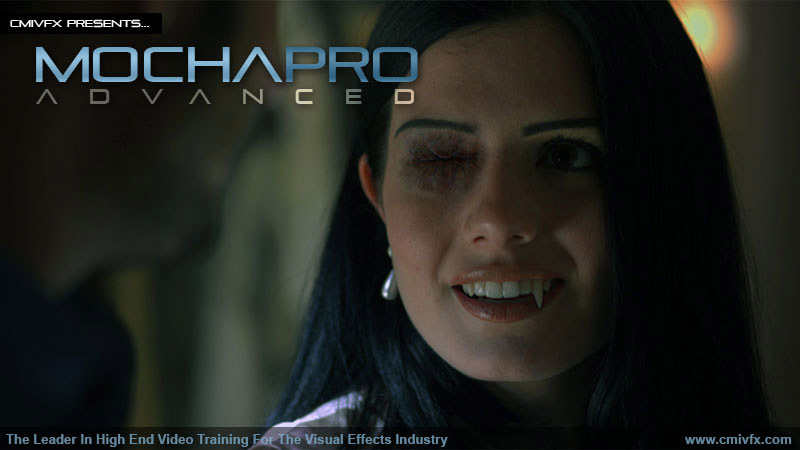 I have produced recently an Imagineer Mocha Pro training set for CmiVFX, covering all the software modules. It is the first Training available in two languages on the CmiVFX website, featuring English and Portuguese! PS: I would like to thank the folks of Trilhas Urbanas Estudio that allowed me to use their facilities to record the training audios. You guys rock! Since this is the beginning of a video series, we will get started with planar tracking concepts. 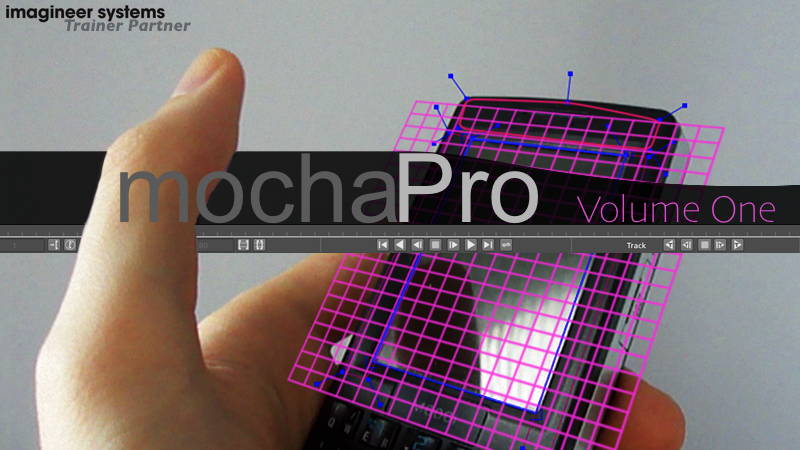 You’ll get a guided tour of the Mocha Pro user interface, utilizing a simple project setup. You’ll use the Tracker Module to track surfaces, discover strategies to improve tracking, track surfaces that leave the screen, learn about the types of splines layers shapes and how to review the tracking quality with the Viewer controls. Learn how to use the planar tracker to achieve faster results when doing Rotoscope. There will be an overview of the tools to create and manipulate Layer shapes, including edge feathering and smoothing. Learn how to evaluate rotoshape quality with the Viewer controls and when the rotoscope is finished, explore the options to export the results to other softwares. With the two example projects presented, understand how to use the unique Remove module of Mocha Pro to eliminate unwanted elements from shots. Using the same scene background or additional clean plates, we discuss the removal parameters in depth, making it easy to remove unwanted objects in shots requiring enhancement. In this section we show you how to take shaky footage and make it presentable for further post production. Learn how to recover the missing parts of the plate using the Border settings and how to further smooth Camera movements using the Stabilize parameters. Here is my last compositing reel, I hope that you enjoy it! Recent feature film and advertisement visual effects works included on it.